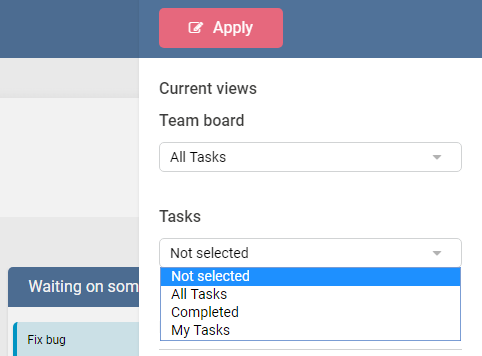 Select the required list view from the dropdown to filter tasks on the board. This option is available only if a View filter is adjusted in Settings. 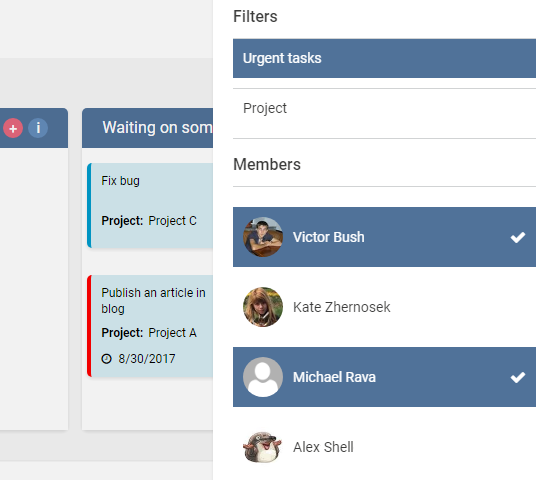 In the example below, “Urgent tasks” filter is applied. User filter displays all users assigned to tasks on this board. 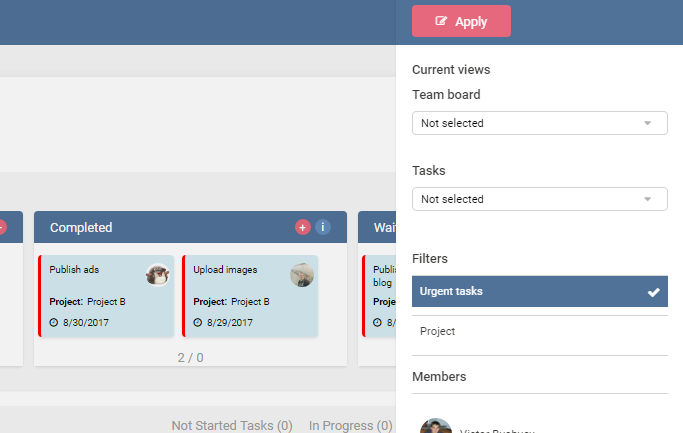 You can click on a user and apply this filter to display all tasks of this user. Click “Apply” to enable filter, view, or selection by user.